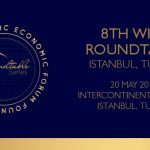 Many economies are built on huge strengths – a well-educated population, rich natural resources and established manufacturing base, and good governing systems. How can these strengths be leveraged for advantage in a global green economy? 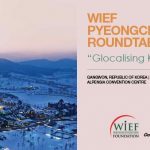 This session will also look at the competitive advantage that nations could exploit to prosper in a global green economy. These diverse businesses offer glimpses of what the transition to a green economy can look like, through transformation, disruption and innovation of traditional business models. Learn from their stories, their keys to success, the challenges they face, the solutions they have found and their future plans. The development of a green economy will need to attract and retain significant investment flows. The full spectrum of the investment community – from venture capital to public funding agencies to mainstream investment banking – plays a critical role in driving growth and incentivising change. They assess risks and opportunities, provide the capital for business to realise green growth and are looking to invest in the green economy. 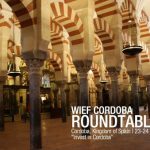 This session will explore the current and future challenges and opportunities for the investor and what it will take to attract more capital. 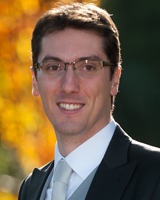 Dr Andrea Bassi is the founder and CEO of KnowlEdge Srl, a consulting company exploring socio-economic and environmental complexity to inform decision making for sustainability. 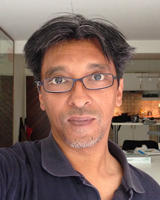 Dr Bassi is also a professor of System Dynamics at Stellenbosch University in South Africa and an associate at the International Institute for Sustainable Development (IISD). He has over 15 years of experience, supporting more than 40 governments and several international organisations primarily on green economy strategies and scenarios, climate mitigation & adaptation and sustainable development. Dr Bassi’s strengths lie primarily in the use of modeling and research techniques that focus on systems analysis, acquired through studies and several years working with System Thinking and System Dynamics. He holds a PhD an MPhil in System Dynamics from the University of Bergen, Norway, an MSc in Business and Economics from LIUC, Italy, and a postgraduate course in modeling the environment from the Universitad Politecnica de Catalunia, Spain. 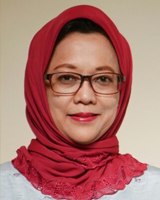 Armida Salsiah Alisjahbana is a professor of economics, director of the Center for Sustainable Development Goals Studies, Universitas Padjadjaran, and member of the Indonesian Academy of Sciences. She is also an independent commissioner of PT Bank CIMB Niaga, Indonesia. She was Minister for National Development Planning and head of BAPPENAS during President Susilo Bambang Yudhoyono administration (2009-2014). In the same period, she also served as Co-chair of the Global Partnership for Effective Development Cooperation, Alternate Governor of World Bank and ADB for Indonesia. In 2016 she was appointed as member of the Independent Team of Advisors on SDGs to the UN ECOSOC. 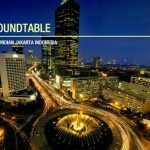 She has been published widely and holds various advisory board positions, among others in ERIA and Indonesian Chamber of Commerce. Her research interests are in the area of sustainable development, education and labour economics. Tianyin Cheng is the director of Strategy and ESG Indices, at S&P Dow Jones Indices. She focuses on alternate beta strategies including factor-based strategies, dividends and volatility, as well as quantitative, thematic and asset-allocation strategies. 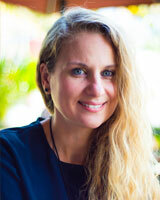 She works closely with the sales, marketing and global research and design departments to bring new ideas to market. 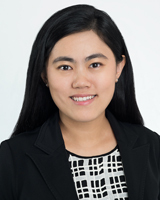 Prior to her current role, Cheng was a quant analyst and risk manager at Catalytic Investment Group, a Singapore-based multi-strategy fund, equity fund and family office. She also has two years of experience in quantitative equity research, including a position at Daiwa Capital Markets in Singapore. She holds a master’s degree in Econometrics and Mathematical Economics from the London School of Economics (LSE) and a bachelor’s degree in Mathematics with the Lee Kuan Yew Gold Medal award from Nanyang Technological University (NTU), Singapore. 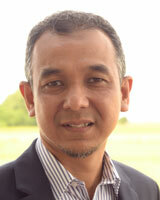 Dr Hezri Adnan is an elected fellow of the Academy of Sciences, Malaysia. He has extensive experience in research and policy advocacy on development and sustainability issues. His specialisation is in comparative public policy spanning areas such as environmental policy, green economy, natural resources governance and sustainable development strategy. 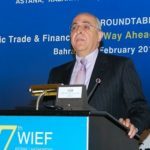 In 2015, Adnan was appointed as a member of the United Nations’ International Resource Panel (IRP), an expert body that focuses on strategic issues of resource scarcity, efficiency and decoupling. 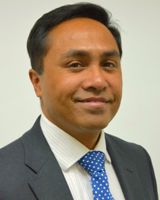 Until July 2016, he was the Director of Technology, Innovation, Environment and Sustainability at the Institute of Strategic and International Studies (ISIS) Malaysia, and currently serves as its visiting fellow. 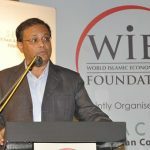 Pranab Baruah is a Principal Specialist at the Office of Thought Leadership in Global Green Growth Institute (GGGI) and is based in its headquarters in Seoul, South Korea. He currently provides technical and policy advisory on clean energy and green growth projects in GGGI partner countries, as well as oversees strategic research and analysis projects on green growth topics. 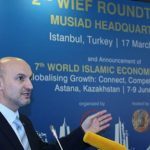 He previously served as the Senior Knowledge Manager of GGGI and the Senior Research Manager at the Green Growth Knowledge Platform (GGKP) Secretariat based in Geneva. Prior to GGGI, Baruah held senior academic and practitioner roles in leading universities and think tanks such as the University of Oxford, University of Tokyo, and Institute for Global Environmental Strategies (IGES) Japan. 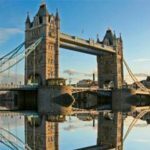 With professional experience in Japan, South Korea, the UK, India, and Thailand, and project experience across developing and emerging economies of Asia and Africa, Baruah speaks fluent Japanese, Hindi, Bengali and Assamese. He holds a PhD in engineering, an MBA in renewable energy and carbon management, and a professional certification in green building design and construction (LEED AP). Steve McCoy is a sustainability consultant based in Kuala Lumpur. He is a long-time member of the International Society of Sustainability Professionals, the Association of Climate Change Officers, and the International Living Futures Institute. 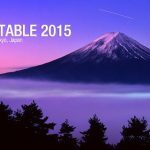 His work is built on the conviction that the challenge of shaping a more secure future offers unprecedented opportunities for business and community leaders – by planting sustainability at the core of their organisational strategy and daily operations, leaving notions of CSR and environmentalism behind. Steve McCoy read medicine, music and theology at London and Cambridge, and worked in the business, education and non-profit sectors in the UK and Poland before becoming a sustainability professional 10 years ago. Syed Ahmad Syed Mustafa is the chief executive officer of GreenTech Catalyst Sdn Bhd, a company under the Malaysian Green Technology Corporation Group of Companies, with a role to expedite the adoption of green technology in the country through the provision of advisory and business services in finance, entrepreneurship, standardisation and incentives. 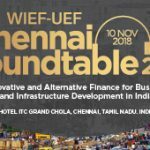 He has more than 30 years of experience in varied environments in the fields of banking and financing, trading and green technology development. 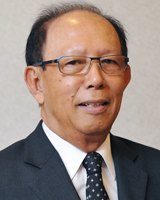 While in the banking sector he was actively involved in the Malaysian government’s green initiatives sitting in various national committees such as the National Steering Committee of the Biomass Power Generation and Co-generation (BIOGEN) project and the Project Review Committee of the Malaysian Building Integrated Photovoltaic Technology Application (MBIPV) project. He was also instrumental in setting up the RM1 billion RE/EE Fund and the RM28 million RE Business Fund to spur the development of renewable energy and energy efficiency in the country. He holds a master’s degree in International Business Administration from the Alliant International University, San Diego, USA and a bachelor’s degree in Business Administration from Central Michigan University, USA. In March 1998, Tanri Abeng was appointed by President Soeharto as Indonesia’s first Minister for State-Owned Enterprises and given the challenge not only of restructuring the State sector but also of creating, from scratch, a new ministry to undertake the task. He was reappointed to the same portfolio when Dr Habibie replaced President Soeharto. He launched a programme to restructure the state-owned enterprises, to increase their productivity and unlock their value, which was completed before President Habibie’s cabinet was resolved in 1999. 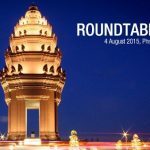 His experience in formulating a coherent plan for state-owned enterprise reform is part of his involvement for more than three decades with multinational, regional and national corporations. 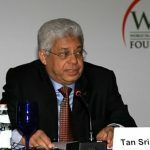 He has held top executive positions in Indonesia for Union Carbide (USA), Heineken (Netherlands), Bakrie & Brothers and has held non-executive positions in other companies including BAT (United Kingdom), BATA (Canada) and Asia Pacific Breweries (Singapore). Abeng was also an Elected Member of People’s Consultative Assembly from 1990-1998. 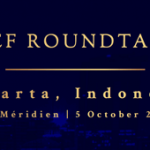 Since leaving government, he has been active in the field of developing cross-cultural leadership skills for the benefit of future private and public sector leaders in Indonesia and the Asia Pacific region, through the Executive Center for Global Leadership. He is currently the Publisher of Globe Asia as well as the President Director of Global Investment Partners. A graduate of State University of New York in Business Administration, he also completed an Advanced Management Program at Claremont Graduate School, USA. 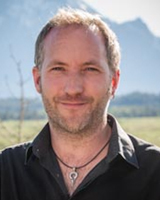 Thomas Maddox is a specialist on the interface between environmental issues and business, with fifteen years professional experience and a particular interest in Southeast Asia. He currently works for Fauna & Flora International, part of the Cambridge Conservation Initiative, where he focuses on natural capital, industry sustainability standards and the mitigation of extractive industry impacts. Before joining FFI he spent ten years in Indonesia, leading WWF’s green economy Heart of Borneo programme, ZSL’s oil palm and environment programme and consulting for the World Bank on forest carbon. He holds a PhD from the University of London and an MBA from the University of Cambridge. 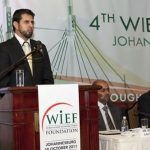 Tun Musa Hitam, who is currently Chairman of the World Islamic Economic Forum (WIEF) Foundation was Malaysia’s Deputy Prime Minister until 1986. In the course of his service in the Malaysian government, he held various positions including Minister of Home Affairs, Education, Primary Industries and Trade and Industries and Chairman of the Federal Land Development Authority (FELDA). Among his major official activities were as Leader of Malaysian Investment Missions to Europe, USA and Japan and representing Malaysia at UN UNESCO and ECOSOC related negotiating and regular conferences. 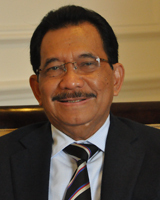 Since Tun Musa’s retirement from politics in 1987, he held Chairmanships of 3 Public Listed Companies and various business related institutions both at domestic and international levels. He was Chairman of the Malaysia – China Business Council, Co-Chair of the Eminent Persons Group (EPG) of the Asean – China, 15 year economic cooperation program and Chairman of the EPG to draft the Asean Charter. 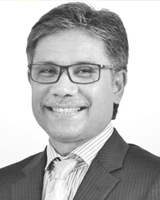 Currently, Tun Musa is Chairman of the Sime Darby Foundation, Chairman of the International Advisory Panel of CIMB Bank, Chairman of the International Selection Panel of the Royal Award on Islamic Finance and member of the Advisory Panels of the Iskandar Development Authority. Tun Musa holds a BA from the University of Malaya and MA from the University of Sussex, and held a resident Fellowship at Harvard University. For his services to the nation, The Yang Di Pertuan Agong, King, of Malaysia conferred him the Malaysia’s highest award which carries the title “Tun”. 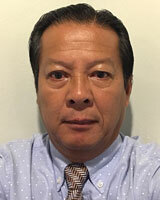 Wilson Teng is the founder, co-owner and executive chairman of IPVled Lichttechnik, an LED lighting company. He is actively involved in research and development (R&D), product development and market research. Teng began his career as a teacher of manufacturing in Singapore between 1982-1988 and later served as a regional sales director of a private firm in Thailand for 7 years. In 1995, he relocated to Malaysia and started a joint venture business with a Japanese company in design and manufacturing of aircraft components. He also volunteered as an advisor to the Ministry of Human Resources in developing curriculums for industrial product design and served as an industrial panel of advisor for Malacca Technical University. He later ventured into the LED business in 2012 and began his research and development of high power LED lighting fixtures together with German and Japanese strategic partners. He studied in Japan in the late 70s’ and early 80s’, majoring in industrial computers and manufacturing. 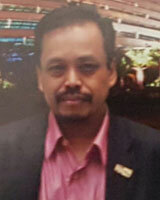 Mahmud Haji Yussof was a forester, silviculturist and deputy director of forestry. He was also a focal person of the Heart of Borneo Centre (HoB) as its chief executive officer until December 2016. He actively undertook both national and regional development of projects in his field. He was involved in the Brunei Peer Consultation Framework, under the ASEAN-German Regional Forest Programme for Southeast Asia (ReFOP) German initiative, to review the National Forest Policy in 1989. Among other projects undertaken were developing the methodology for the National Multi Forest Resources Inventory (MRI) with the ASEAN Institute of Forest Management and field manual for logging guidelines. In addition to a Rehabilitation Project with the ASEAN-Korea Environmental Cooperation Project (AKECOP), the Forest Resources Assessment of 2005 & 2010 and the Criteria & Indicators (C&I) for sustainable forest management. He holds a BSc in Forestry from the University College of North Wales, United Kingdom and an MSc in Forestry from the Australian National University (ANU), Australia. Anissa Roberts is the director of Strategic Finance of SunCulture, an AgTech company, which designs and sells solar-powered, IoT enabled solar-water pumps, micro-irrigation systems and agricultural extension services to farmers in East Africa. Roberts is currently developing SunCulture’s Pay-As-You-Grow Agricultural Asset Financing platform, which seeks to catalyse the way smallholder farmers globally are able to access agriculture financing and integrate themselves in the global supply chain. Prior to joining SunCulture, she gained a plethora of experiences in agribusiness investments and finance, with a particular focus on Mexico and Brazil. Her experience includes various positions at AMERRA Capital Management, Ingenio Los Mochis, and AgroFinanzas. With over 12 years in the financial industry, she has developed a particular understanding of the operational drivers of her clients’ success, and created innovative approaches to structuring both debt and equity investments to unlock additional growth. Roberts has a particular interest in incorporating the quality and usage of both water and soil in the investment equation for smallholder farmers.